We're huge fans of the CLA45 AMG, a sport sedan with nearly faultless balance and amazing grip. It's something like the best Subaru WRX you'll ever drive. That's a compliment, right? A scaled-down CLS with turbocharged performance, the 2014 Mercedes-Benz CLA proves the car world is shrinking--even at the luxury level. 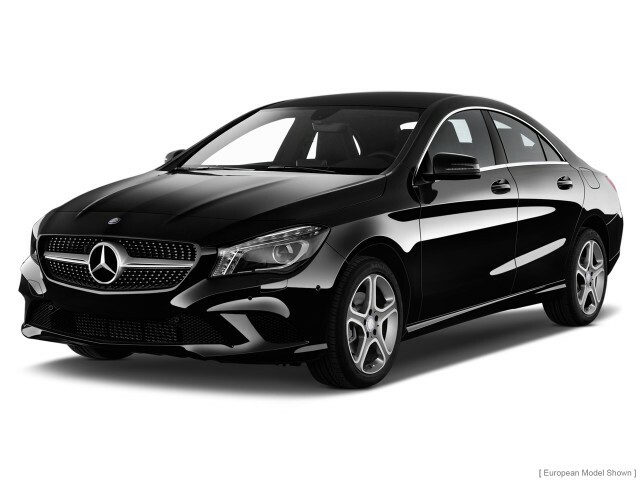 The 2014 Mercedes-Benz CLA-Class sedan is the Germany luxury brand's first-ever front-wheel-drive car in the U.S. market--and it's priced, styled, and engineered to grab eyeballs and younger buyers before competitors Audi and BMW have competing products ready. The Audi A3 sedan will arrive next year, and BMW will offer its riposte a year or two after that, but for today, the CLA has that market niche to itself among the Germans. Instead, it goes head to head with the likes of the well-meaning but unimpressive Acura ILX, the handsome, supple and quiet Buick Verano, and--in its hotter CLA45 AMG version--the BMW 1-Series. 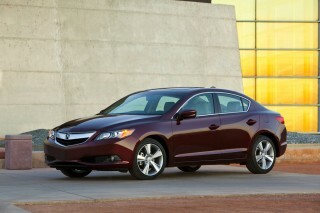 The Verano and ILX have base prices below $30,000 and lots of luxury features like the newest Benz. But neither has anything like the prestige of the Mercedes badge. The BMW does, but its M edition is gone, on an untimely time-out. The CLA is a scaled-down imitation of the prettiest Mercedes on sale today, the CLS, and that's its biggest ace. It may be as short as a Civic, but its elegant profile and frameless glass counter the compact-car blahs, and chip away visually at the front end's height. The sporty cockpit lifts its inspiration from the SLK, not the C-Class, and the mix-and-match aesthetic works extremely well. That is, until you scan the LCD screen planted awkwardly on the dash, instead of integrated into the center stack. Compact dimensions place the CLA in a vast class of cars that ranges from the Ford Focus to the Honda Civic, or to more upscale machinery like the BMW 1-Series, Acura ILX, and Buick Verano. It's 182.3 inches long, with a wheelbase of 106.3 inches. As with most of those cars, back-seat room is tight, with minimal headroom for medium-sized adults and somewhat difficult entry and exit in through the rear doors. Trunk space is good, with a flat load floor, and the CLA has a few useful storage bins in the cabin for small items. The CLA 250's drivetrain pairs a 2.0-liter turbo four with 208 horsepower to a seven-speed, dual-clutch transmission. It's a combination with 0-60 mph times of 6.7 seconds and a 149-mph top speed in its portfolio, underpinned with some grunty four-cylinder noises. The transmission wants to be in sport or manual mode, for quicker shift responses, though: even with paddle controls, it gets caught off-guard. Gas mileage numbers of 30 mpg combined are easily reachable, though the available all-wheel-drive system is sure to shave a mile per gallon off those numbers. The CLA45 AMG recasts that engine in myriad ways, from block to pistons to turbocharger to its 26.1 psi of boost. Output shoots to 355 horsepower, 0-60 mph times fall to 4.5 seconds, and top speed rises to 155 mph. All-wheel drive is standard, and a reprogrammed dual-clutch with three driving modes suits up to harness the power much more effectively than in the CLA 250. Unlike any other mainstream Mercedes before it, the CLA's tightly tuned steering and ride break from tradition. The variable-effort, variable-ratio electric steering is full of weight and quick to respond, and largely without feedback. Two out of three is good, by electric-steering standards. The CLA's independent suspension gets a standard "sport" setting in the U.S. and likely rare 17-inch run-flat tires, since 18-inch wheels will be a $500 option. With the CLA 250 and 18-inch wheels, the very firm ride and occasionally jarring impacts of French roads would trigger a test drive of the standard setup, if it were our money. The CLA45 AMG? It's another proposition entirely, and we're not sure its ride isn't a touch more refined, even with optional 19-inch wheels and tires and an available AMG sport suspension. It corners ruthlessly flat, dials out most of the CLA's native understeer, and if it suffers in comparison with the wild-hair, rear-drive, V-8 AMGs of recent vintage...well, what doesn't? Among its standard safety features, the 2014 CLA carries a new Collision Prevention Assist function; using radar, the CLA can alert the driver of upcoming obstacles when it's traveling at more than 4 mph, and can calculate the amount of brake force needed to avoid an impact. Also standard are Attention Assist and its coffee-cup reminder to pull over and avoid drowsy driving, and a driver knee airbag. Safety options include adaptive cruise control; blind-spot monitors; lane-keeping assistance; and parking sensors with parking assist. Visibility isn't great to the rear--we hope the rearview camera gets liberated into an inexpensive, stand-alone option in the near future. Dollars to rubber doughnuts, the $30,825 2014 CLA comes comparably equipped to the high-trim versions of its contemporaries. It comes with standard Bluetooth, cruise control, a power driver seat, and MB-Tex upholstery. Smartphone connectivity comes via Mercedes-Benz's mbrace2 and a 5.8-inch screen, while three navigation options will be offered--the most expensive, with voice commands, the rearview camera and real-time traffic. With the Premium package--it bundles an iPod interface with satellite radio, surround sound, heated front seats, dual-zone climate control, and a garage door opener--the CLA should retail for about $33,500. It will be impossible to option the CLA 250 past $40,000. The CLA45 AMG is configured much the same, save for its drivetrain. The base price of $48,375 leaves room for option packages that include Recaro performance seats, carbon trim for the outside and the inside, a black-out trim package, and uprated tires, before it hits an expected average out-the-door price of about $55,000. The CLA 250 and CLA45 AMG are on sale now, while the all-wheel-drive CLA 250 lands in showrooms early in 2014. The Mercedes CLA sports a mini-CLS silhouette, but gets interior inspiration from the sporty side of the haus. The 2014 CLA takes its cues from the trend-setting CLS four-door "coupe," and the expressive look could hardly look better, scaled down as it is. As cars get smaller, it's more difficult to make them look great--but somehow the CLA's high nose and side view preserve the best of the CLS, while giving up the long-nose proportions that define every other Mercedes-Benz. That front end may be the best expression yet of the newest Mercedes identity: the tall vertical grille and contoured air intakes show up on this year's E-Class, too, toning down that car's overly angular nose. The frameless glass on the doors and the pretty profile were previewed on last year's Concept Style Coupe, and the production version keeps them intact, along with the jazzy design imprinted into the grille. The archetypal curves stamped into the rear fenders are the clearest connection to the CLS (or even to the ur-Corvette): they draw back through the sideview like a slingshot. There's softness in the way the CLA's rear glass rounds off quickly, but it's relieved by crisp LED taillamp ribs. The CLA45 AMG toughens up in an amicable way. The grille pares down to a couple of blades, over an AMG fascia bored out with wider air intakes. Discreet "turbo" badges stud the sides, and at the rear, the CLA45 AMG has a pair of inlets that bracket the rear end like parentheses. With its stubbier shape and less favorable aerodynamics, the CLA is still as sleek as it can be: with a coefficient of drag of just 0.23, Mercedes claims it's the most slippery shape in the production-car world. You can see the aerodynamic tricks in the lower reaches of the front end, where big air intakes shape the airflow, or the thin parentheses that let it escape at the tail. The CLA cockpit borrows liberally from the sporty cars in the Mercedes lineup, not from the bigger sedans. It sports cut-tube gauges and five round vents, call-outs more to the sporty SLK end of the Mercedes lineup than the to the CLS. The interior's finished in a dark-grey trim, with walnut, ash, or aluminum trim that's optional on the CLA 250, standard on the CLA45 AMG (which also gets red seatbelts and red-stitched seats). MB-Tex synthetic upholstery is standard, with leather available. One clear afterthought caps the dash: the dash-mounted LCD screen looks like a plug-in navigation unit, less like a piece of technology planned in from the beginning of a model cycle, just like the one on BMW's current 3-Series. The front-drive CLA has sport-sedan ideals at heart; the AWD CLA45 wears them on its sleeve. It sounds like heresy, but the Mercedes-Benz CLA has a better grip on the modern sport sedan than the C-Class. 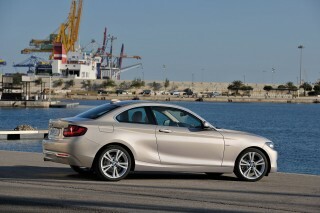 The C-Class has taken its time to get in better shape, to approach the athleticism the 3-Series used to have. The CLA has it out of the gate--a strong, firm handshake with the driver that's frankly a surprise, given the easy temptation to make it all things to all new Mercedes buyers. As a CLA 250, it also can be a little shy to shift, and can seem musclebound when it rides on big wheels and tires--impressions that dissolve when you fling the kinetic CLA45 AMG down a straight track or a two-lane bend. If you've been dreaming of a 190E 2.3-16 since the CLA first broke cover at the 2013 Detroit Auto Show, there's hope you'll come away from a first drive happily entertained, maybe even thrilled. With 208 horsepower and 258 pound-feet of torque burbling up from its new 2.0-liter, direct-injected, turbocharged four-cylinder engine, the CLA 250 doesn't lack for power. The engine's from the same family as the four-cylinder in the C-Class, bigger in displacement, with different engine mounts and its cylinder head turned for transverse installation. It puts out a grotty, agreeable fahrt-noise (it's German, look it up), and spins out enough low-end torque to beat the four-cylinder C-Class to 60 mph--in about 6.7 seconds, Mercedes says. Top speed will be limited to 149 mph. The CLA 45 AMG takes a chainsaw to those numbers, cranking up boost and lowering compression on the four-cylinder's twin-scroll turbo to scream-machine peaks. We reported its 0-60 mph time of 4.6 seconds first, and since then it's been recalibrated to 4.5 seconds. In this case, we love being wrong. Redline is up 200 rpm to 6,700 rpm, the torque peak arrives later and stays later (that's why they call it a party), and a specially designed, optional, active-exhaust system fiddles with a butterfly flap to play punk sax with the exhaust note. It's quiet in normal driving, crazy hot at full boil. The numbers get hit via a seven-speed dual-clutch transmission, one engaged with paddles and a column shifter on the CLA 250, with paddles and a console-mounted shift lever on the CLA45 AMG. On either, a flip of the paddles engages a manual-shift mode for 30 seconds, after which the transmission clicks back into a comfortable program. On the CLA 250, the low-end torque can put lumps in the shifts, and the gearbox upshifts rapidly to obtain the best possible gas mileage numbers; it can be cycled out of Eco mode into Sport or Manual shift modes, which clean up the responses to the point where some turbo lag becomes evident. Shifts are cleaner over 30 mph or so, where the action melts into the momentum. Stop/start is integrated into the CLA drivetrain, and it sends a shiver through the drivetrain when it shuts off the car and restarts at pauses longer than a couple of seconds. 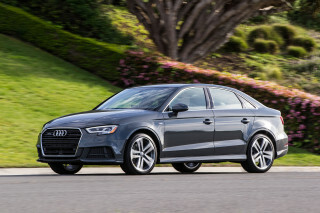 The all-wheel-drive system adjusts torque from almost 100 percent front to up to 50 percent rear through a multi-disc clutch, and it's responsible for a smoother launch and shifts, we think, than the front-drive car. Mercedes' stated goal was to make the CLA feel "not like a front-drive car." That's a choice that could skew the CLA away from those not so young at heart, and it's entirely intentional. Whether it's front-drive or all-wheel drive, the CLA 250 is set up nearly in mono-spec form. All versions have electric power steering and all U.S. cars will come with the lower, shorter-sprung "sport" version of the CLA's front-strut, four-link-rear suspension. An option to upgrade the standard 17-inch run-flat tires to 18-inch wheels (with or without summer tires and perforated disc brakes) are the only choices left to American drivers, at least at launch. The end product is a car that's brash and a little bratty in the way it refuses to lean into corners, almost in defiance of the traditional Mercedes reputation of comfort and compliance. The so-called "Direct Steer" system's V-shaped steering rack increases ratio and effort off-center; it's pretty hefty, and gives the CLA a quick call to change. Jazz hands are kept to a minimum, though the typical electric-steering numbness hasn't been erased. 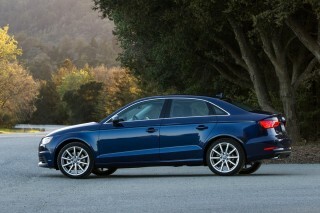 There's no adjustable suspension either, and the European "comfort" suspension is being held back from U.S. customers. The CLA 250s we've driven, front- or all-wheel drive, all rode on 18s--and on the roads outside St. Tropez, had a very taut feel that occasionally went rumbly when the road went rough. Those 18s are the bane of suspension engineers everywhere, and probably don't help the otherwise compliant ride lose its composure over small but sharply broken surfaces. But they'll probably be on every American CLA 250, since the stand-alone price is just $500. Either way, we'd give a slight dynamic edge to the all-wheel-drive version--and we'll watch out for a car with the base 17-inch wheels and tires. For the CLA45 AMG, the suspension, steering, and braking hardware get another drive-by, with even flatter cornering and more flattering steering the result. The changes are vetted for maximum return on the performance/price curve. The electric power rack has a fixed ratio, though weight still varies with vehicle speed. The suspension's retuned with three distinct links for each front wheel and with stiffer bearings, since the torque and traction loads are much higher. At the rear, there are four links, coil springs, and a body-mounted subframe. Thicker anti-roll bars are used front and back, and the CLA45 AMG rides nearly an inch lower, on a rear track nearly a half-inch wider, than the CLA 250. For additional grip, the 18-inch wheels ride on performance tires as standard equipment, with 19-inchers an option; they cloak uprated AMG brakes tweaked with electronic torque vectoring, activated in ESP Sport mode. What we found, after an afternoon trolling smooth German surface streets and almost-new track tarmac, is a car that's practically slathered in stick, nearly unwavering in its neutrality. It erupts from a stop with AMG's Racestart launch control, and works every rib in its treads to make you forget it's based on front-drive running gear. Slide into high-speed esses, and the CLA45 AMG is splitting its power equally to brush off faint understeer; dive hard into a steep left-hander and it takes a neatly chosen set while you decide if third or second gear has better legs for the next stretch of straightaway. It can't summon a miracle of sensation from its electric power steering, but doesn't mask the surface of the road the way Direct Steer can, either. All the while, it's flapping its exhaust. The gutter rumble of AMG's V-8s can change your reality--but the CLA45 AMG's syncopated beat has its own butterfly effect. Grippy seats and low-gloss finishes make for a youthful cabin; you'll need to be young to fit in and get in the back seat. By the Feds' rulers, there's no ruling yet on whether the 2014 Mercedes-Benz CLA is a compact or a mid-size car. But by the numbers we have to date, the CLA slots into a vast class of cars that counts everything from the Ford Focus and Honda Civic to the BMW 1-Series, Acura ILX, and Buick Verano in its ranks. The CLA is 182.3 inches long, with a wheelbase of 106.3 inches--a little longer than today's C-Class, which gives that car some room to grow when it moves to the U.S. as a 2015 model. In the CLA, the compact dimensions don't affect the front passengers nearly as much as they do those in the back. The CLA 250's front seats are Recaro-like in their shape--and they're good ones, with great firm bolsters around the back and on the sides of the bottom cushion. They're covered in a combination of MB-Tex synthetic leather and cloth on Edition 1 models and all MB-Tex or all leather on all other CLAs, depending on your wallet. The seats are adjustable for rake and position, with power adjustment for the driver and manual for the passenger seat, which moves via levers and wheels in the VW idiom. That's to say, it's a reach to get to the wheel that adjusts seatback angle. The CLA45 AMG can be upgraded to actual Recaro performance seats, heavily bolstered affairs that pair well with the AMG car's red seat belts. They're aimed at the most enthusiastic owners and drivers. Between the front seats, the CLA's console drops a shift lever, leaving behind instead two storage bins. One is squared off and sized for 64-ounce drinks--or for the shift lever that is offered on the CLA 45 AMG--and the other holds a power point and a smaller tray. Think of it as a smartphone charging station, if you don't opt for the console-mounted phone dock that comes with one of the feature packages. Wedge into the back seats, and you'll experience the CLA's chief giveback to its size and style. Back-seat room is tight, with head and toe room especially lean. I found the rear seat's headroom short for me by about three or four inches, and had to warn a front-seat passenger to avoid a toe-mashing recline. Because it sits low and its rear doors are relatively small, older shoppers will want to try entering and exiting the CLA before deciding it's a nice alternative to the bigger Benz sedans. On the upside, the CLA's trunk is about as large as the one in the C-Class, which makes it larger than the one in the Cadillac ATS. The rear seats fold down to expand that space when you need it. Only in a few places will drivers notice the way Mercedes has kept costs down with the CLA. Soft-touch painted plastic rules the center console. The trim rings on the vents are glossy plastic with notches to cut their brightness, but the standard dash trim is a satiny metallic plastic that looks quite good. The CLA45 AMG's standard aluminum trim? Even better. The panoramic sunroof has a thin fabric shade that doesn't look like it could contain Richard Simmons' enthusiasm--but then again, what could? But road noise is mostly muted, and wind noise is pretty well-controlled, and there's no active noise control nonsense muffling the powertrain. And then there's the column-mounted gear shifter, located exactly where the Mercedes wiper controls used to live. You too might put the car into neutral when you just want to clear the rain. If it revs when you wanted it dry instead, you're doing it wrong. Mercedes' reputation for safety precedes the CLA, but the NHTSA and IIHS have yet to opine. Since it's brand-new, the 2014 Mercedes-Benz CLA 250 hasn't been crash-tested by either of the U.S. agencies that regularly report such data. When the National Highway Traffic Safety Administration (NHTSA) and the Insurance Institute for Highway Safety (IIHS) offer up some data, we'll update this report. We're assigning a preliminary score here given Mercedes' strong performance in crash safety and based on its standard safety equipment, which includes a driver knee airbag. The CLA45 AMG has a few special talents woven into its standard stability control. A tap on the ESP button sends it into Sport mode, and allows more wheelslip and slide; another tap and stability control goes off. Either mode persists, but applying the brakes will re-engage stability control as long as the brakes are applied. There's also a measure of torque vectoring simulated by the CLA45's anti-lock braking; it applies braking to inside wheels to tighten cornering lines when the car's in ESP Sport mode. Among its other standard safety features, the 2014 CLA carries a new Collision Prevention Assist function; using radar, the CLA can alert the driver of upcoming obstacles when it's traveling at more than 4 mph, and can calculate the amount of brake force needed to avoid an impact. The integrated collision-warning system has Volvo-like output, with visible and audible alerts when you're about to pile into someone, or something. Also standard is Attention Assist and its coffee-cup reminder to pull over and avoid drowsy driving. With the push to keep CLA prices relatively low, we'd hope Mercedes will soon break out its rearview camera as an inexpensive stand-alone option. Rearward visibility isn't good, thanks to the sloping roofline, and a surround-view camera like the one in the 2014 E-Class would be even more appreciated, given the CLA's probable home in plenty of urban parking spaces. MB-Tex is standard and satellite radio is an option, but the CLA is Facebook-friendly and open to personalized touches. Given the appeal of its three-pointed star, the 2014 Mercedes-Benz CLA 250 is priced to kill at $29,900 base, not including a $925 destination charge. That base version comes standard with Bluetooth, cruise control, a power driver seat, 17-inch wheels with run-flat tires, a sport-tuned suspension, and MB-Tex upholstery--a fair assortment of gear without any major lapses for the class. Compared to the other premium compacts you can buy today, it's a tough case to make for at least one of them. 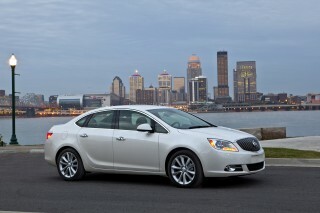 A Buick Verano Turbo, priced almost identically with the CLA, has standard leather seating and 18-inch wheels, and an option for a manual transmission, but doesn't offer the sporty handling or badge appeal of the Mercedes, or all-wheel drive. 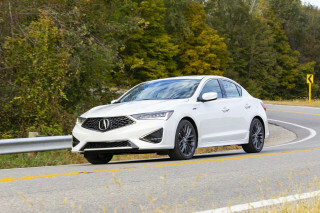 The Acura ILX is much less sporty and has fewer safety features on its options list, while a premium version can be priced north of $32,000, before options. As for the CLA45, it's occupying a much loftier perch. Prices begin at $47,450, not including the $925 destination charge. 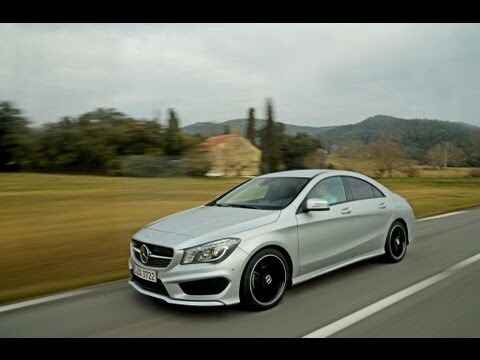 Unique powertrain, all-wheel drive, and AMG hardware aside, standard features are similar to those on the CLA 250. To keep those prices as reasonable as possible, the CLA will have more stand-alone options than other Mercedes products. For example, while U.S versions of the CLA 250 come standard with a sporty grille, a sport-appearance package adds AMG-style 18-inch wheels with its own lower front-end treatment. The wheels are offered by themselves for just $500. The most popular features will be bundled into the Premium package, which includes an iPod interface with satellite radio, surround sound, heated front seats, dual-zone climate control, and a garage door opener. Leather is available, but a power passenger front seat is not on the initial options list we've seen. A panoramic sunroof with a thin fabric sunshade is a stand-alone option, as are all-wheel drive, leather seats, summer tires, parking assist, blind-spot monitors, and heated front seats. Other trim and styling choices go beyond the usual fifty shades of grey paint. Black ash and burl walnut trim can be chosen to replace the grey plastic dash trim. The CLA45 has its own range of features, themed around performance. Red-painted brake calipers are offered, as are a carbon-fiber package for the exterior and a similar one for the interior. There's a Night package that blacks out big swaths of exterior trim, and a flat-bottomed steering wheel. And on the highly recommended list, are Recaro sport seats that offer up even more support than the stock chairs, and 19-inch performance tires with black-finish wheels. 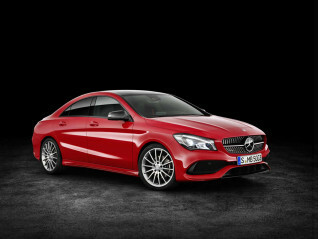 A popularly equipped CLA45 AMG likely will be priced at about $55,000, Mercedes believes. Lastly, we hear there will be an option for an Illuminated three-pointed star some time in the future. It's not official yet, but we've been told to expect it first "on a car that would merit an illuminated star," then on other model lines to follow. On the infotainment side, the 2014 CLA comes with standard Bluetooth and the latest smartphone connectivity functions via Mercedes-Benz's mbrace2, all displayed on a 5.8-inch screen that outputs AMG's Racestart performance data on the CLA45. Three levels of navigation are offered, including a base functionality driven by your smartphone included with that standard setup. The first navigation option is an inexpensive Becker system with better functionality, we're told, and a pricetag of $800 or so, in the range of the systems GM offers with its IntelliLink touchscreen systems. The more elaborate, and optional, infotainment system offers a 7.0-inch screen and COMAND, which controls the Multimedia package's navigation system, DVD changer, 10GB music drive, or SD card (as well as phone services) with voice commands. The Multimedia package also includes a rearview camera and real-time traffic. The infotainment system also can be fitted with DriveStyle, which makes some apps like Facebook and Twitter available through the knob controller and voice commands for on-the-go readback and response from a set of stock answers. It's essentially an edited-down mirroring function, with icons upsized for safety, not true screen-to-screen mirroring--and without a touchscreen capability, since as a company, Mercedes has decided touchscreens are too distracting. COMAND continues to be a frustrating system to use on the go, less so when it's used to set up the car prior to driving. It requires a lot of scrolling and toggling to get to basic menus, or even to switch some modes--something accomplished much more easily by the redundant buttons on the center console. The integration of Facebook access comes via a globe icon on the screen, and can take some time to access Verizon's data network. The CLA 250 gets excellent EPA ratings of up to 30 mpg combined--and they're within easy reach. The 2014 Mercedes-Benz CLA 250 earns gas-mileage ratings that are significantly better than in the larger C-Class, at least in the CLA 250. The front- or all-wheel-drive sedan weighs less than the C-Class, has less aerodynamic drag and has a more efficient transmission than that rear- or all-wheel-drive sedan. It also has standard stop/start, which shuts down and reawakens the CLA when it pauses at stoplights. It's smooth enough, but the stop/start effect sends a quiver through the driveline. The result is an EPA rating of 26 miles per gallon city, 38 miles per gallon highway, and 30 mpg combined. We've driven the CLA 250 extensively now in the U.S., and have earned more than 37.3 mpg on long interstate runs, without much modulation of our driving habits. The EPA says the all-wheel-drive versions of the CLA 250 are rated at 24/32 mpg, or 27 mpg combined. The rip-roaring CLA45 AMG? It's remarkably as good as 23/31 mpg, 26 mpg combined. Though diesel versions are offered in other markets, there's no plan to introduce them on the U.S.-market CLA. Style, Class, Traditional and Fast! I love this car! It had everything I was looking for: great look, speed, terrific mileage, and easy handling in the snow. Great job Mercedes. This was my first MB but definitely not my last! Great value and styling. Needs powertrain and NVH refinement.